Family-owned businesses offer an intimacy and personal touch big corporations simply can't match. That's the kind of feeling you get when you buy Arundale products. 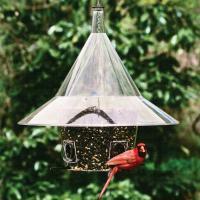 The company began in 1975 with the creation of its first-of-a-kind squirrel feeder and continues its family tradition of great products and innovation. On top of its bird feeding products, Arundale also makes an array of novelty squirrel items like hilarious shirts and memorable mugs. Browse our wide selection of Arundale Products below and when you buy through us, you'll get a 30-day, money-back guarantee and friendly customer service. 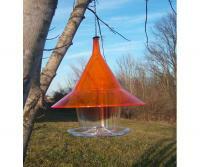 I'm very satisfied this product and very stunning hanging up the tree infront of the lake. I like this feeder. If placed far enough from a limb, it DOES work as a squirrel deterrent!! (That is my number one goal in finding feeders these days.) 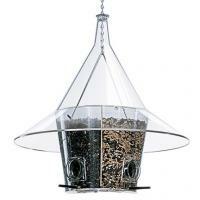 It holds a good amount of food and the "roof" still allows birds of a certain size to get to their food. It is really fun to watch the squirrels try to gain traction and slip off. 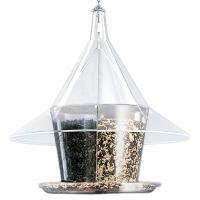 Skyfeeder works well for bringing birds of cardinal size and smaller to the feeder. 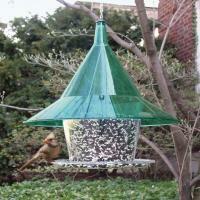 Squirrel proof top keeps squirrels from stealing the food. Overall good product. We bought this to replace a similar feeder that was broken by our tree service. It is the one feeder that frustrates all the squirrels in our area. They simply can not get into it! 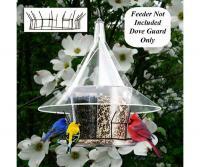 We had the previous feeder for about 20 years and expect the same with this one. 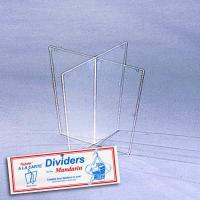 This is our 1st Arundale Mandarin squirrel proof bird feeder. I have gone through probably 10-15 bird feeders trying to find one that would stand up to the claim of being 'Squirrel Proof' and none of the feeders did the job. 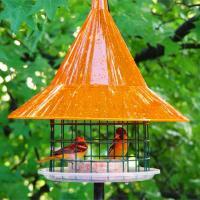 Then I found this Arundale Mandarin squirrel proof bird feeder and believe me, it is just that. The squirrels have come around to check out feeder to see if they can figure out how to get on it, but after just a couple of minutes, they give up even considering it and leave. Now that the squirrels have given up, they don't even come around anymore and that's a good thing because they are so destructive to my trees and everything else that comes in their path and now I don't have to worry about them being around anymore. This was the best investment that I could have made. The Finches and Sparrows took a couple of weeks to accept the new feeder and not be afraid, but now there are birds on the feeder all the time. When and if this feeder ever needs replaced, I will buy another Arundale Mandarin squirrel proof bird feeder in a minute. 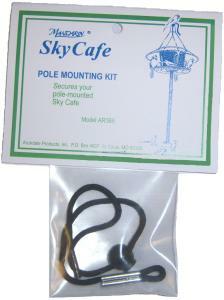 The sky cafe is marvelous. It is clear so I can see when feed gets low. 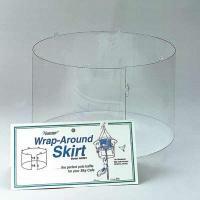 It is shaped perfectly to thwart squirrels and it is easy to re load with feed! Also, it is rainproof!! 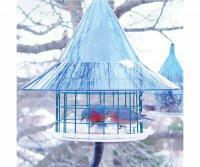 This is the very best bird feeder ever. I'm on my second one of this variety. 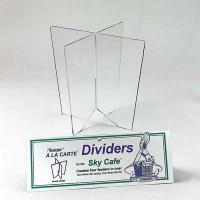 I did throw away the dividers however, they seemed to be confusing the smaller birds, well worth your dollars, P.S. add a few raw non-roasted peanuts in the hull to the tray, Blue Jays will be storming in to grab them.